This month marks two years since I packed up my summer clothes and moved to the UK – only to never wear said summer clothes again. To commemorate my two year anniversary, I decided to blog about the things I missed about Australia. The only trouble was, when I started writing, apart from the obvious (family, beaches and sunny weather), most of the things I missed about Australia were food related. Priorities amiright? 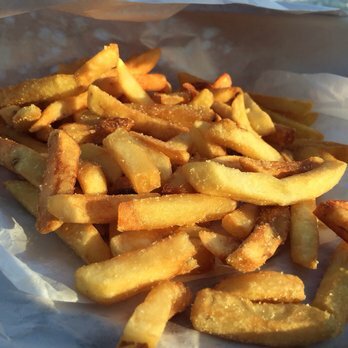 So as a self-nominated Australian foodie expert, the following list is all about the snacks and dishes I highly recommend you try when visiting the Land Down Under. 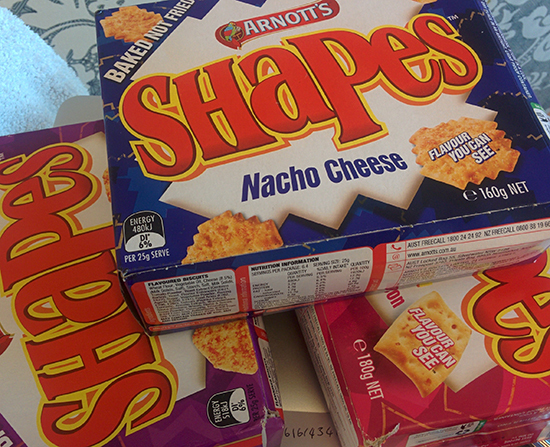 Of all the foods in all of the country, I miss Shapes the most. A savoury snack for which there’s no real British equivalent (Ritz or Cheeselets maybe, but nowhere near as good). These uniquely shaped biscuits come covered in variously addictive artificial flavours. Much of the country likes barbeque and pizza, but my sophisticated palate prefers nacho cheese, cheese & bacon, and the cutely named chicken crimpy. Where to get it: One of the bigger supermarkets, where they usually have deals or offers on to feed everyone’s salty/cheesy biscuit addiction. From my observations, mango is just another fruit in the UK. It’s yellow and sometimes a little hard and sour and typically served cut up in a plastic container. Mango in Australia though is serious business. It’s bright orange, soft, has a really strong smell, and we buy it by the tray. 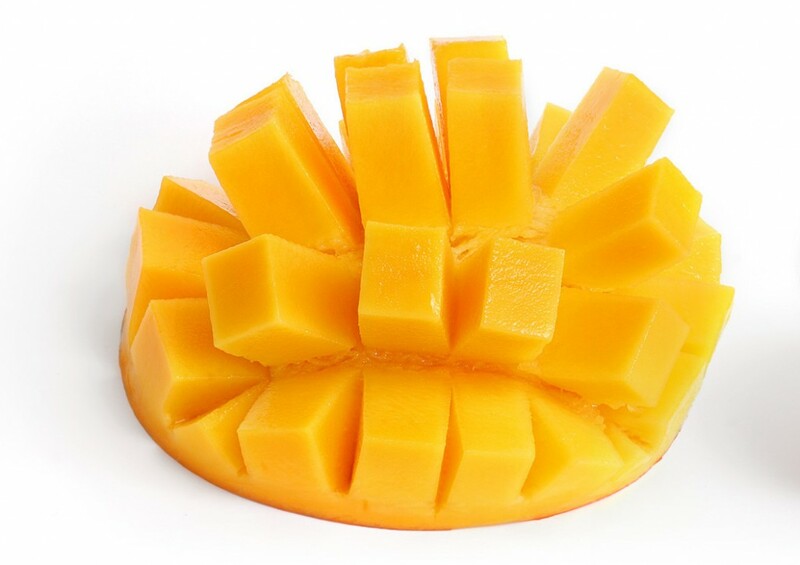 Everyone is so excited for ‘mango season’ a.k.a. summer, that the first tray of mangoes of the season are auctioned off for charity. Last year a tray of 12 mangoes went for $30,000. That’s how much we love our mangoes! Where to get it: Any supermarket or green grocer will do. A roadside stall is even better. There are heaps of variations too. My personal favourite are the Bowen (Kensington Pride) mangoes from north Queensland, cut into the shape of hedgehog. Tables full of butter chicken, green beans, DIY spring rolls and our crispy skinned duck. Wait for the orange to bring it all together. From @natashavictoria. I’m sure it sounds rather ironic to miss Thai food from Australia, but it really is the best takeaway in the country. To use a comparison, curries in the UK are what Thai food is in Australia. A delicious favourite of the multicultural food landscape. Where to get it: Across the board, most Thail places in Australia are pretty good at it. If I had to recommend a city though, Melbourne would probably come out on top. Find a local Thai restaurant, order the Pad Thai and an entrée of coconut prawns, and thank me later. 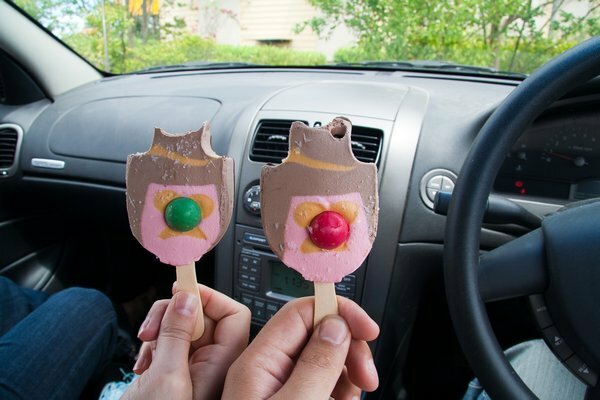 A childhood favourite that I just haven’t grown out of, a Bubble O’Bill ice block (our word for ice lolly) is my sweet treat of choice on a hot sunny day (so pretty much every day). It incorporates a cowboy's face of strawberry ice cream, chocolate ice cream for his hat and a ball of gum (the best part) for his nose. I realise it sounds totally bonkers, but trust me, it’s good! Where to get it: From a garage on your way home from the beach. Buy it and eat it while barefoot for the full Australian experience. This is a controversial entry considering the meat pies in the UK are pretty great. But the meat pies in Australia are great for different reasons. Their pastry is flakey, the meat is chunky, they’re served with a squeeze of ketchup and they’re usually purchased from a bakery and consumed, hand-held in a paper bag (like a kebab). Where to get it: If you’re driving from Brisbane to the Gold Coast I highly recommend stopping off at Yatala Pies. Just keep an eye out for the big pie statue on the side of the highway. Everything on the menu is classic Aussie pies personified, but my favourite would be the steak & bacon. 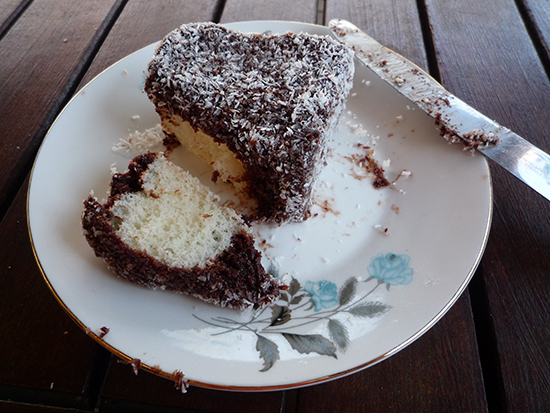 Another local bakery favourite, a lamington is the perfect post-pie pudding. Australia’s most famed cake, the lamington consists of a cube of fluffy sponge dipped in chocolate and then dipped in desiccated coconut. Some have layers of jam or cream in them, but to me the simple sponge, chocolate and desiccated coconut version is pure perfection. Where to get it: Any country bakery or roadside stall. In my experience, the more rustic the location, the better the lamington. If you love cheese and you love crisps, you’ll love Twisties. It’s practically a scientific formula. If you’ve never come across this once again oddly-shaped savoury snack, Twisties are like an Australian hybrid of Quavers and Wotsits, only with a more dense and powdery texture. Where to get it: Every food shop in Australia sells Twisties and if they don’t, they are un-Australian! Less a food and more a condiment, chicken salt is Australia’s answer to the UK’s passion for drenching chips in vinegar. Where you guys like your chips soggy and sour, we like ours crispy and strangely chicken-flavoured, even when served with fish. Where to get it: The local fish and chip shop, where they will be served wrapped in newspaper and £1 will get you more than you can actually eat. 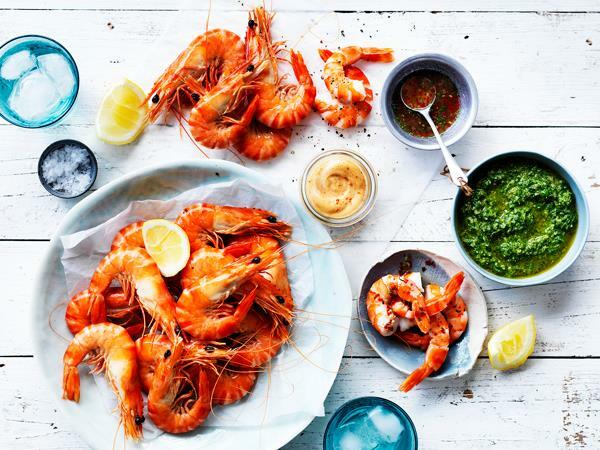 While we don’t eat prawns as consistently as you Brits do, we love them in our own Australian way – consumed in summer, typically in a salad and NOT on a barbecue. No self-respecting Australian ever says ‘put a shrimp on the Barbie’ either. I miss Australian prawns for their freshness and their incredible large size. Prawns are also a hallmark at any Christmas day lunch, served as part of a buffet platter alongside barbecued meats, potato salad and mango. A pool, backyard cricket and 40-degree heat often completes the picture. Where to get it: Most people get their prawns from the local supermarket where you can buy them pre-cooked and by the kilo. Since moving to the UK I’ve had a lot of fun (maybe too much) acquainting myself with the foreign and exciting chocolate bars. 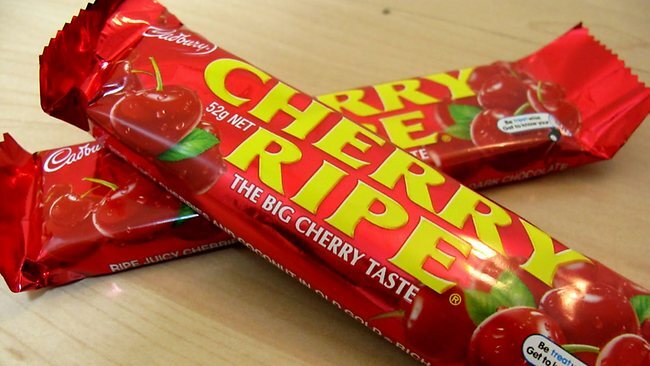 There are plenty that I love but none of them seem to mirror the ingredients of my favourite Australian chocolate bar: the Cherry Ripe. Wrapped in a shiny red wrapper, Cherry Ripes are bars of dried cherries and chocolate covered in dark chocolate. A simple yet winning formula in my books. 10/10 - must try! Where to get it: Any garage (Australian translation: servo). While you’re there, buy one for me please! I realise this list is missing Australia's most famed foods: Tim Tams and Vegemite. Of course I love Tim Tams and Vegemite, but as these are the things people most often bring back for me, I haven’t had a chance to miss them yet! Taste the best that the country has to offer with our Tailor-made Holidays to Australia.